Bonfire Trail is an action-puzzle game. Woby and Layla are ﬂaming meteors trapped in a planet where ﬁre is unusual. Woby must ﬁnd Layla and escape from hungry monsters that want to cook their food on his head! This journey takes place in 80 hand-drawn levels in 4 unique and weird worlds. Bonfire Trail was based on a character that emerged in a very random and accidental way. It all began when Diego and Eduardo were working on a storyboard for a client. One scene of this storyboard had a door and Eduardo drew a face on it, Diego then sketched a pair of arms and a giant fork. Finally, Eduardo drew a big sausage on the fork. The final design looked like an oddly amusing monster. The team visualized that monster chasing somebody while holding a sausage, eagerly trying to cook it; which is why Woby was conceived as a burning meteor. 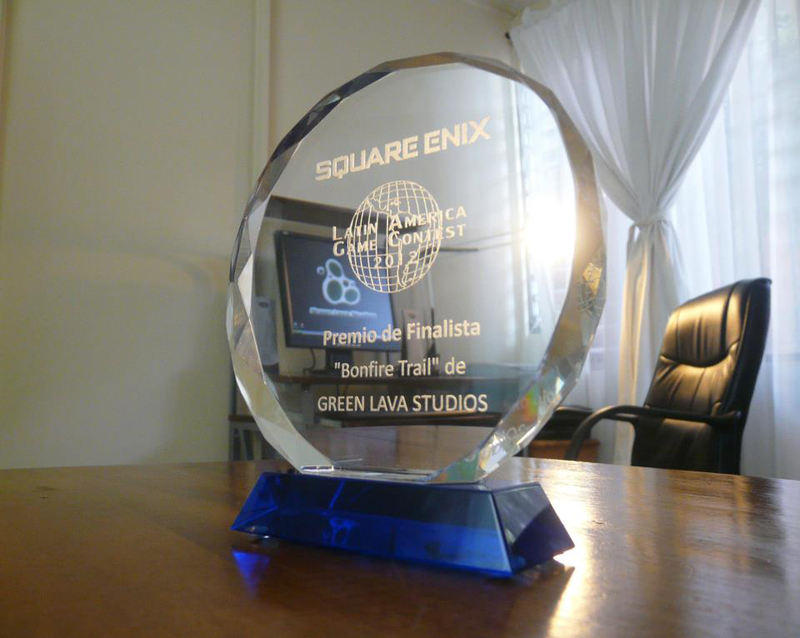 A few weeks later, the team learned that Square Enix Latin America was doing a game contest. And so, they decided to use the videogame submission deadline as a chance to finish this new game faster. Bonfire Trail won a 3rd Place Award in the game contest. 80 challenging levels with 4 different themes. ""[Spanish] ...un pequeño meteoro ardientee""
"[Spanish] Un meteoro busca a su novia"